Lots of people enjoy dyeing their hair every so often, whether for a new look or to retain an old look (covering pesky grays). 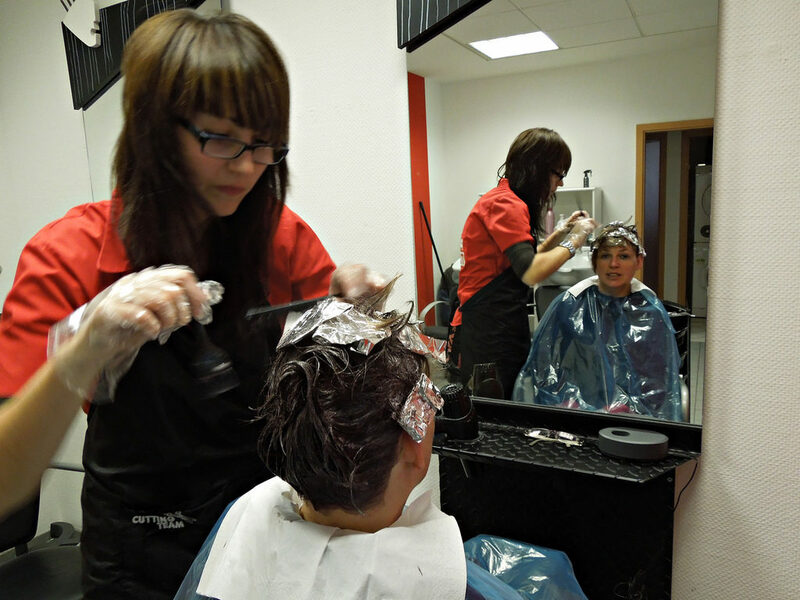 Unfortunately, most commercial hair dyes are super toxic and not great to have touching your skin. They may also do lasting damage to your hair. If you are looking for a natural alternative to harsh chemical dyes, here is one that’s probably in your pantry already – coffee. It’s great for darkening light hair or imparting a healthy glow to dark hair. Coffee has been used in hair for a long time because it actually makes hair healthier as it changes the color. Other dyes use over 5,000 different chemicals to do their job, many of which are known to cause cancer. Coffee, on the other hand, is entirely natural and beyond imparting a rich color, is known to stimulate hair growth. The reason is likely related to the caffeine content, which when massaged into the scalp, stimulates blood flow and allows hair follicles to grow faster. However, as a natural product, coffee dye doesn’t last as long as a chemical version. It’s perfect for folks who are looking for a short term change or who want healthier hair as their main goal. We are going to break down a few different ways that you can use coffee to achieve the best head of hair you’ve ever had. Brew a strong pot of coffee, preferably espresso, and let it cool. Shampoo as normal and rinse thoroughly. Then pour some of the cooled coffee over your clean hair and massage it into your scalp, along the length, and down to the tips. Repeat until you have used the whole pot. Collect your hair into a shower cap and let the coffee work for at least 20 minutes. Rinse with cool water to remove excess coffee. If your first application is not as dark as you’d like, you can repeat the process twice a week to layer the color and achieve a deeper and darker hue. Because coffee dye doesn’t last as long as chemical dye, you may want to touch up your color regularly. To do this, fill a spray bottle with cooled black coffee, as strong as you can make it. Once a week, mist your hair all over after shampooing. Let it set for 10-20 minutes before rinsing with warm water. To use coffee routinely for hair health and to stimulate growth, make a custom product with two parts of your favorite conditioner to one part espresso. Mix until thoroughly combined. The conditioner should appear brown. Use the product as usual after shampooing. Gather your hair into a shower cap for 15-20 minutes before rinsing. Gray hair is typically more difficult to dye because it is courser and dryer. As a follicle ages, it produces less sebum, which is what gives hair its moisture and shine. Coffee, because it stimulates follicles and improves hair health, may be better able to coat stubborn grays. If you are attempting to cover grays, it’s best to leave the coffee on hair for twice as long to give it enough time to moisturize and penetrate the course strands. Remember that coffee is not a permanent dye for any hair. We recommend using organic coffee for a truly natural product. Conventional coffee likely contains residual pesticides, the effects of which on hair cannot be predetermined. Let your coffee cool fully before mixing it with a conditioner product or putting it in a spray bottle. Hot coffee can affect the integrity of conditioner and leech chemicals out of plastic. For darker color, you can add coffee to leave-in conditioner and skip the rinse. Apple cider vinegar can help coffee penetrate the strands of your hair. Use it diluted with water for your first rinse, following up with a short clean water rinse to remove the vinegar smell. This process should allow your color to last longer. If the lingering odor of coffee bothers you, try using black tea as a natural dye Brew a strong dark cup, let it cool, and use the tea to rinse your hair after shampooing. You can also mix ground coffee or instant coffee into conditioner to add an exfoliating component to your treatment. Coffee is not a permanent dye and will come out when your hair gets wet. Because of this, it may also stain clothes, furniture, and pillows when you sweat. It is best to throw a towel over your pillows before lying down to protect them from stains. Also note that coffee is not ideal for every hair color. If your hair is naturally blonde, coffee may not be dark enough to produce a pleasing color, instead leaving a muddy hue. And if your hair is dark already, you may not see any difference at all. Coffee might be best for lighter brunettes who want to go just a couple of shades darker. It can also be ideal for natural brunettes who are going gray and want the gray strands to more closely match the rest of their hair. So that’s it – pretty basic as long as you take steps to prevent the coffee from staining things you don’t want stained. But that’s true of many chemical dyes as well! Natural coffee is a great choice to protect your hair’s integrity while adding a rich, glossy dark color. It’s perfect for experimentation when you’re not sure how you’ll look with dark tresses, and an easy way to touch up roots between conventional dye jobs. Give it a try. You have nothing to lose!